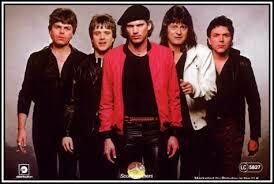 A joke that made the rounds back in the early 80s was that Survivor was the band that Sylvester Stallone discovered. Rumour had it that the actor liked this band so much that he insisted they played on the soundtrack for “Rocky III.” The extent of the truth in that theory is rather fuzzy in my recollection but Survivor’s contribution to the soundtrack to the film led to them having one of the best known singles in 1982 and opened the eyes of many to the album of the same name. 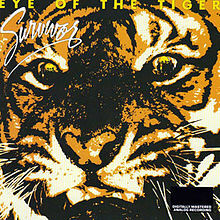 The album “Eye of the Tiger” proves that Survivor were just too good to be a one hit wonder. There are just too many good songs on this album. Keeping with the 1982 tradition, the album opens with the big single, which has one of the most memorable intros in rock history. Like it or not, the opening to the title track is one that you can’t get out of your head. Now for the rest of the album, which tries to be progressive hard rock throughout. The second track and third track are a bit more keyboard oriented but I still like “Hesitation Dance.” Then things rock out more with “The One That Really Matters.” It has a crunching guitar intro and the song goes more hard rock. Next comes, “I’m Not That Man Anymore” and that gets my vote for best guitar solo on the album. Trust me, that solo cooks! “Children of the Night” is the ballad on the album and it’s not bad. The penultimate track is also their second biggest single, “American Heartbeat.” It didn’t get to number one like the title track but had to settle for number seventeen. I thought that was fair enough because it’s not as good. The closer is a bit of a funny one. “Silver Girl” starts sort of hard but then goes very progressive, almost space rock in the middle to come back in harder at the end. Even after all these years, I can’t really say how effective that is. Still, I can’t agree with whatever critic stated that the rest of the album didn’t live up to the title cut. There are some good tracks on this album, if you can get Rocky out of your head. 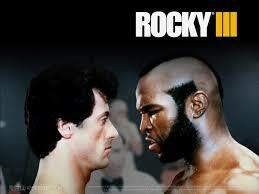 Even if Sly Stallone did sort of discover Survivor, who cares? After all, he did the music world a favour by doing so. This album is proof of that. This entry was posted on March 12, 2015 at 9:56 pm and is filed under 1980s, films, Music, Rock, soundtracks, Uncategorized with tags Americans, Classic Rock, Eye of the Tiger, hard rock, Heavy Rock, one hit wonders, progressive rock, Rocky, Survivor, Sylvester Stallone, The 1980s. You can follow any responses to this entry through the RSS 2.0 feed. You can leave a response, or trackback from your own site. Outside Rocky I feel that these guys are again under-rated, Hesitation Dance and I’m Not That Man Anymore are first rate AOR tracks, and although I am not into AOR, I got this on record in about ’89. I agree that Survivor have been very underrated, Rock or not. Those are some cool tracks. I didn’t buy this album, my then 11 year old brother did. I borrowed it and was impressed. Vital Signs is a great album as well. I’ll have to listen to that one. If it came out in the 80s, I’ll be visiting it.